Teardrops (An Emblem Of Human) – A Tiny Peak Into The “Dynamics For Teardrops SMT Distribution”. Yesterday i ended up going out and when i say “go out”, it is very rare that i do. My pain levels are extremely high, extremely draining and going out is just filled with pain. “Leisure is weak as a reliever”, even meds. Anyway, that aside, i went out for a small meeting yesterday and it was for the purpose of gathering some knowledge related to the @teardrops SMT. Months have flown without much of my notice and i am very much now behind schedule with all my projects. The SMT protocol will practically begin in January 2019 (Testnet) and indeed, i am very much behind schedule. It is approaching December already. Then ofcourse, we went on to discussing “Teardrops”. It became re-established that “teardrops” is its own entity. So basically, we won’t have airdrops, we will be having “teardrops” and when it comes to teardrops, there is bound to be some form of “mining the human” (proof of tears) involved. Teardrops is to serve the globe as whole, “everyanyone”. It is not for a set audience. It is for every human. It is an emblem of human. This also explains my delays. Even though, some have brought up the suggestion of starting some airdrops and bounties like other projects are doing on steem; all along “teardrops” is its own difference. It should have a testimonial essence, bigger things than just another “digital currency”. Well, there are many other factors at play, that slows the process a bit more. Teardrops SMT is to be used across 3 steem-based interfaces i.e ulogs.org, steemgigs.org and macrohard. So, there is much more to look at, when looking into the utility of the token. Teardrops SMT will also look to reward past “human” effort. Under our umbrella, we have had 4 successful tags here on steem. 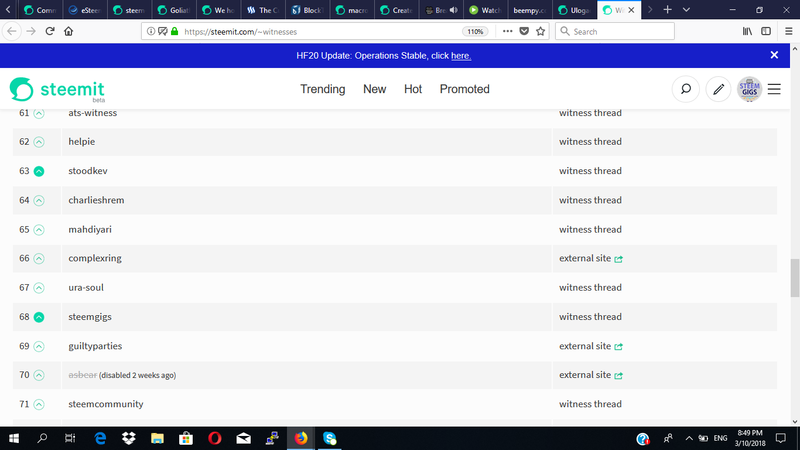 If you check steemit.com/tags, you will notice that for along time, 4 of our tags are on the list of popular tags. These 4 are #untalented #teardrops #steemgigs and #ulog and each of these tags have been modeled to “mine the human”. We care about “real human growth” which are bigger things than bulls or bears. We want teardrops to be a success, bulls or bears, because humans are involved. To this effect, we will have to find ways of rewarding “efforts of human” done in relation to teardrops, from that past. We want the world to know, that rewards doesn’t always have to come now and “human growth” should on-go, with “real human growth” as its own reward. Alot was re-established from yesterday’s conversation. We want @teardrops SMT to constitute stories and histories, journeys and breakthroughs, whenever it gets into someone’s possession and we want holders of the coin to feel and know these things and to accomplish this, we need to be slow and steady about “designing the dynamics of the coin”. Yesterday, another key thing that was re-established is that our strongest point with the teardrops SMT etc, is “the community”, that we have formed all along by means of the 4 tags mentioned earlier but “we need to solidify this community” and make it a “community of brothers”. Teardrops SMT will involve very organic real growth and for this, we will need real brothers, “not just numbers”. Thus, more recently even though, i have been practically functionless and energyless, i have started “growing our number of certified uloggers” gradually. This group will constitute the core or bone of the @teardrops SMT and everything we do, whether on ulogs.org, steemgigs.org or macrohard. In due time, we will announce a solid team too. However, i would like some of the framework for these projects to be set, so our team can have a basis for building. When it comes to raising some capital, it is not very defined yet what we will do but again, with “a truly solid community of brothers”, nothing is impossible. It is highly likely that there won’t be an ICO, even though our primary project ulogs.org is aiming to “surpass google” and would require a budget, we will look for ways to accomplish our goal without an ICO, taking the more testimonial harder route. When a team is in place though, these are things that we will discuss. One key thing established in our conversation yesterday, is the budget size that projects like teardrops SMT requires. I got to understand why “valid ICOs” have needed to raise huge capital but give us 10k brothers and we will push and displace mount Kilimanjaro by 10km at 10km per hr. Teardrops is bound to be a gradual process. Please read through the forms carefully. Kindly vote for the “steemgigs” witness. If you want to support an extra witness and you support mine “steemgigs”, it will be really helpful. To vote my witness, simply visit https://steemit.com/~witnesses and upvote “steemgigs” or simply click Here to do it on one click! The Teardrops SMT Is Still In Its Imaginary State But It Is Time To Start Gathering. Read This And Consider Joining Our Telegram. Teardrops & Ulogacy: If My Mind Is Leaving Me, Before It Does, I Say; “I So Miss You Mum. May I Be In Paradise. I Want To Be With You Again”. (Pt 1).